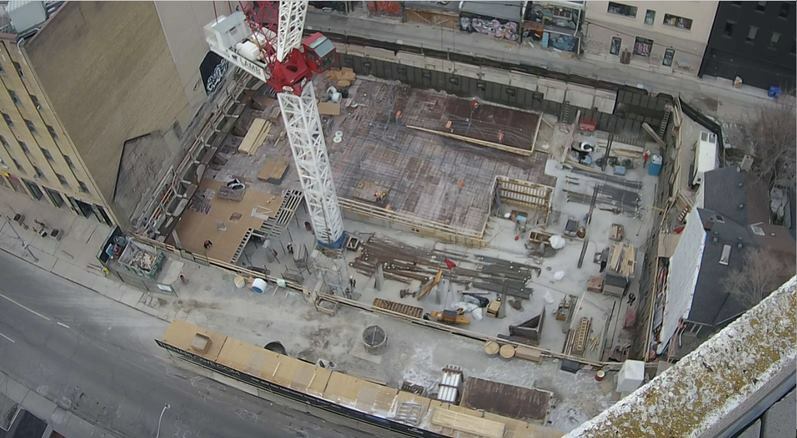 Construction Update: View from above of the fantastic progress on Lamb Development Corp.’s Toronto development The Harlowe. Pouring ground floor slab by mid-May! Contact info@TorontoCondos.com for more information on how to live in a lamb. Copyright © 2019 Brad J Lamb Realty. Website Designed & Developed by Ankit Designs. By registering, I consent to receiving information electronically (such as email) on the listing/development just highlighted, as well to on latest offers, opportunities, one-of-a-kind listings, invitations to special events, seminars, financing opportunities and, of course, other new and exciting news from Brad J. Lamb Realty Inc. and its affiliates (listed below). I know that I can unsubscribe from receiving communication electronically at any time in the future if I wish.